The following post was originally featured on the People For Blog. Indeed, the Koch brothers’ influence in shaping our national political dialogue is stronger than many realize. In March the Center for Public Integrity wrote about David and Charles Koch’s financial investments in colleges and universities—the nation-spanning “campus of Koch Brothers Academy.” By pouring millions into schools across the country, the Koch brothers bankroll academic programs to promote their economic and social ideologies. They champion regressive political philosophies and create a pipeline for youth to become engaged in conservative activism. In effect, the Koch brothers are leading a crusade to funnel young people into the conservative movement. However, we in the progressive movement are also investing in our youth. Despite not having as much money as oil tycoons, key players in the progressive movement understand the power of youth and are fighting back with a long-term progressive infrastructure.  Programs like Young People For (YP4) of People For the American Way Foundation provide young progressive leaders the tools to create systemic change, roll back conservative advances, reclaim our democracy, and fight for justice. By teaching young adults to identify key issues in their communities, create concrete action plans, and mobilize others through organizing and advocacy, YP4 helps Millennial change-makers build power to win on progressive issues. For example, through our program’s Money in Elections campaign, young activists have held rallies, gathered petitions, protested banks, and spoken at national events in support of reclaiming our democracy. Ariel Boone, a 2009 YP4 Fellow, lead a successful campaign urging the University of California at Berkeley to divest $3.5 million out of Bank of America and reinvest these funds in a local bank that contributes millions to the surrounding community. Last year 2013 Fellow Brendien Mitchell spoke alongside Senator Bernie Sanders and other pro-democracy movement leaders at a rally to get big money out of politics on the steps of the Supreme Court. These are but a couple examples of how YP4 is supporting young people in taking a stand against corporate influence in our political system. As YP4 enters its tenth year, we continue to recognize that to build a movement, you need to think long-term. From recruiting youth from marginalized communities into our Fellowship program, to assisting them in getting more voters to the polls through our voter engagement programs, to training them to run successful campaigns through ourFront Line Leaders Academy, we support youth every step of the way of their leadership journey. Often in conversations about politics and civic participation, young adults are afterthoughts, considered an “apathetic” audience that doesn’t vote. But Millennials are far more engaged than given credit for. In fact, today’s young adults are anything but disengaged. Despite being the first generation to be economically worse-off than their parents through no fault of our own, Millennials are far more likely to do community service than older generations. About half of us vote, and we currently account for over 20 percent of the voting-eligible population in the US – and that number is growing as more of us turn 18. We must constantly overcome conservatives’ best attempts to keep us from the polls, efforts which in themselves show how much power we hold over the political process – no one would try to disenfranchise us if we didn’t matter. And last but certainly not least, we are the most diverse and progressive generation in recent history. Ironically, two individuals who spend enormous amounts of money to influence the civic lives of young adults represent political leanings at odds with much of the Millennial generation’s values. The Koch brothers singlehandedly influence the US political arena more than almost anyone else thanks to their nearly limitless pool of oil money. They are two of the most radical and influential right-wing leaders today who are attempting to abolish the minimum wage, get rid of Social Security, defund the Affordable Care Act, equate money with speech, and lead the transformation of American democracy into an oligarchy. As shown in the Center for Public Integrity report, in 2012 they gave nearly $13 million in tax-deductible donations to higher education institutions, including many that are often considered “liberal,” to promote their ideologies. These contributions show that conservative leaders do understand the power of youth and the return they get from investing in youth leadership development opportunities. Byshelling millions into programs for young conservatives since the 1970s and focusing on long-term capacity building rather than just mobilization during elections, conservatives see the fruits of their labor in congressional dysfunction and the weakening of our democratic processes. Creating change is hard and takes time, especially when up against big money like that of the Koch Brothers. But by investing in young people, the progressive movement can make a real difference in both the short and long terms. We simply cannot afford to not invest in youth.